What's this? Youtube guru Carli Bybel teamed up with BH Cosmetics in the summer last year to create the Carli Bybel palette. It comes with 10 eyeshadows and 4 highlighters. Where do I get it? Unfortunately this palette isn't in stock anywhere in the UK, so you have to get it shipped from the US. I got it from the BH website and paid only around $6 for shipping, so overall I paid around £12 for the palette AND shipping - pretty good! I had no issues with shipping/customs and it arrived around 10 days after I ordered. The Pros... The shadows are extremely pigmented for a fairly cheap palette. 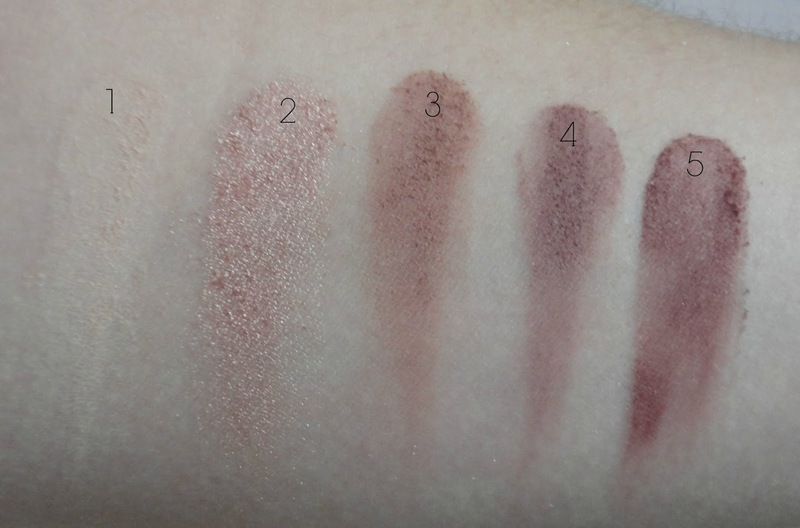 I absolutely love the shades too, as the matte mauve shades (3,4 and 5) are unlike anything else I have in my collection and I've been loving recreating her everyday mauve look (tutorial here). 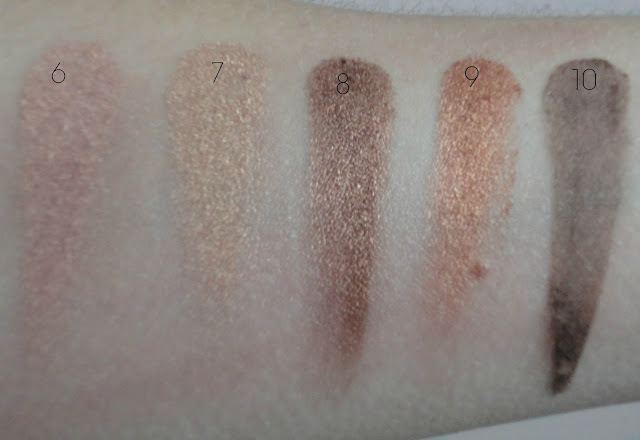 Number 9 is also very similar to MAC Woodwinked eyeshadow! The lasting power is really good - I always use a MAC Paint Pot to prime but these stay on really nicely. The Cons... The palette does have a slightly chemical smell, but I'm pretty sure it's the packaging itself and not the shadows - although it's such a cheap palette that I wasn't expecting it to be super luxurious! 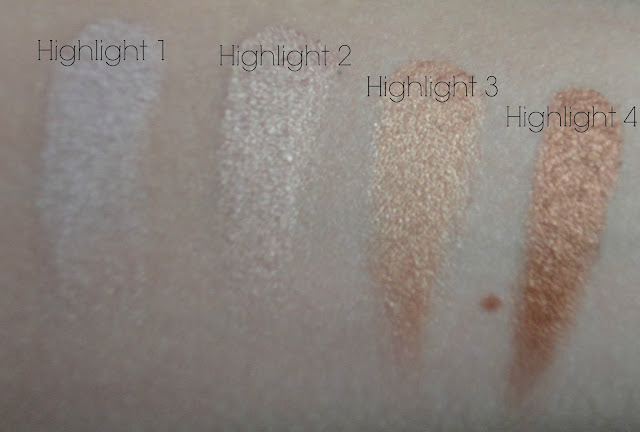 The highlight shades 3 and 4 are definitely too dark for me, but I like that she has provided something for every skin tone. You definitely have to tap off your brush before applying as they're quite powdery and will have a lot of fallout if you don't tap off excess. What do you think? Let me know if you've tried this in the comments and what you think of it!